The Milk-Bone dog products, information and VISA gift cards have been provided by the Milk-Bone brand. Read my Disclosure Policy. -He doesn't let anyone touch his teeth. -The mess from doggie toothpaste gets everywhere. -They don't have the time to do it as often as they should. This is where Milk-Bone Brushing Chews come into play! 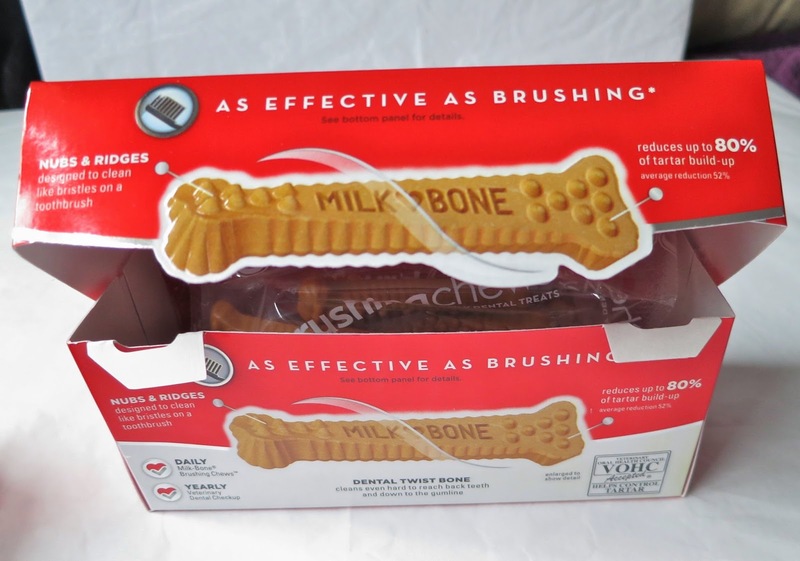 Milk-Bone Brushing Chews were developed to transform at-home dental care for dogs so that your dog can do it himself every day just like you do! If you feed daily, Milk-Bone Brushing Chews have been clinically proven to be as effective as brushing your dog's teeth twice per week based on the reduction of tartar build-up and bad breath. That means you don't have to worry about a mess, an antzy dog, or a time consuming teeth brushing ordeal! 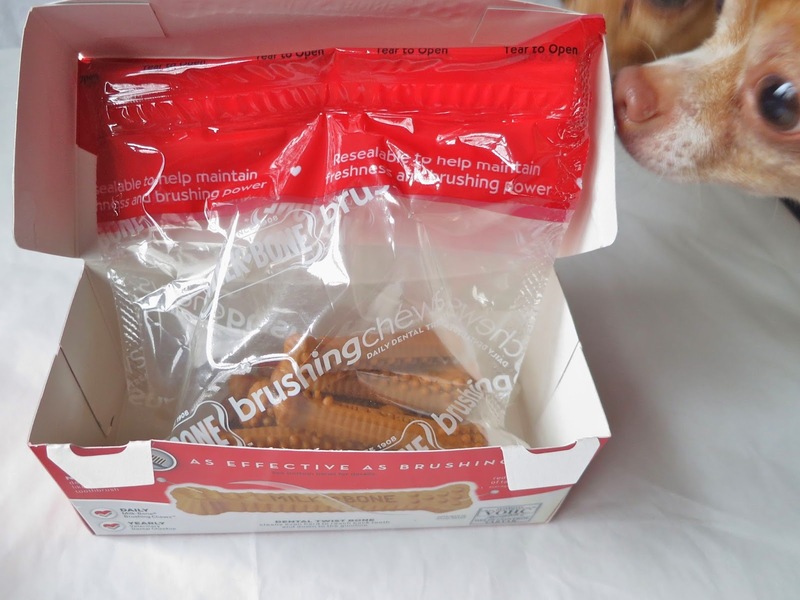 The second I opened up the box my dogs went crazy. 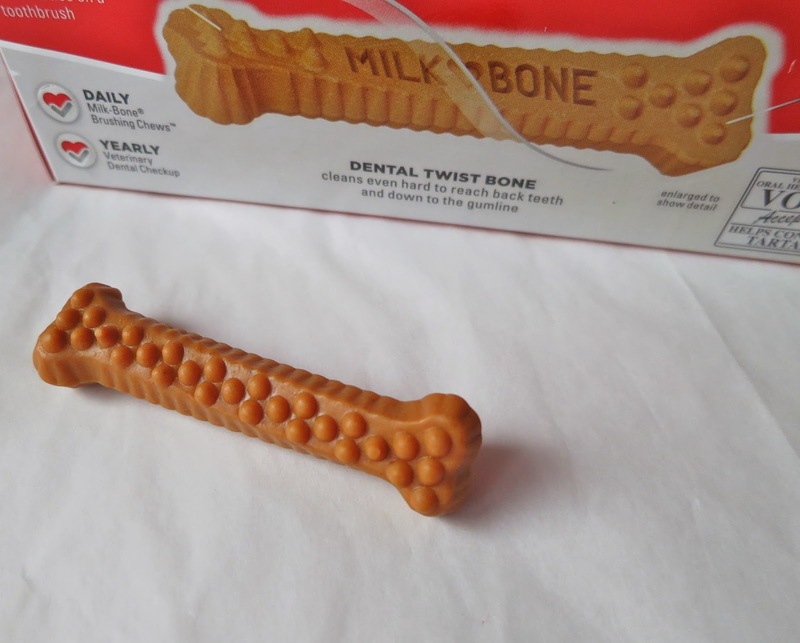 These Milk-Bone Brushing Chews come in different sizes for different breeds. 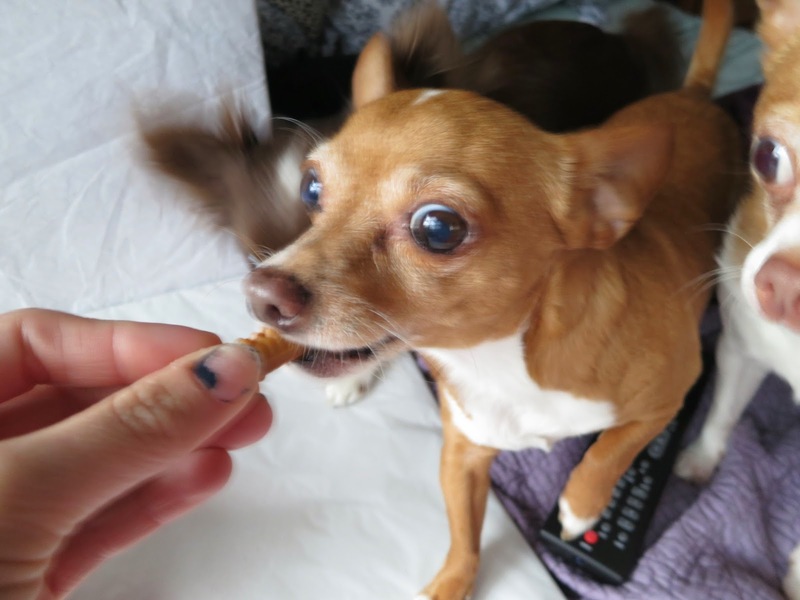 I couldn't even keep my dogs away from where I was taking the photos of the product! The beauty of these bones is that they reach back teeth and down to the gumline, which is hard for a person to get to when they are cleaning their dog's teeth. The bones have nubs and ridges that are designed to clean like bristles on a tooth brush. This was a great chewy for my dogs and kept them occupied and out of trouble! 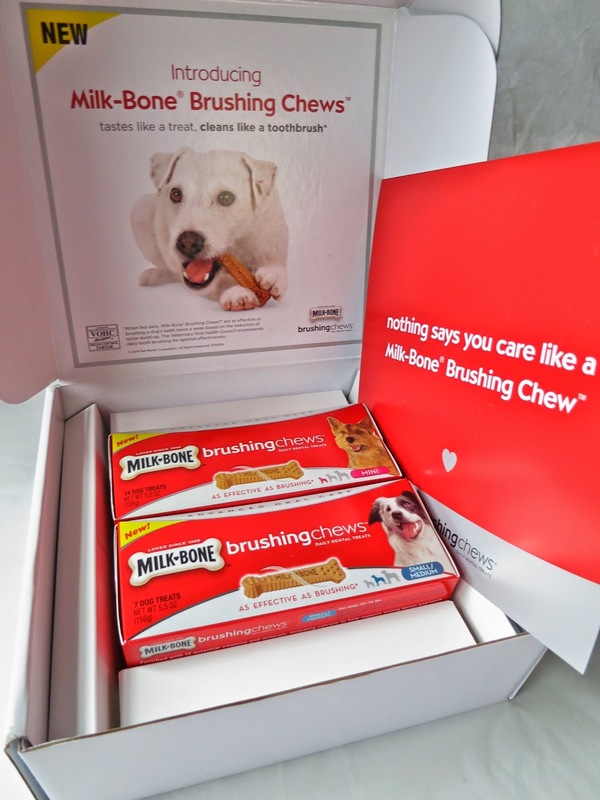 One lucky winner will get a Milk-Bone Prize Pack including a $25 VISA Gift Card and the Brushing Chews above! My dog has some very dirty teeth, she could definitely use these! I saw these on a commercial and wanted to try them! Scout loves regular milkbones.